Science and gender equality are both vital for development, yet today full and equal access to research is a privilege of the few. This problem affects women and girls to a greater extent who have been traditionally pushed away from certain fields. Women and girls are less likely to study STEM subjects (science, technology, engineering and maths) at school and university and are subsequently less likely to be employed within a science-related field. Gender inequalities can also be noted within medical research where women are underrepresented as both study participants and members of the study team. 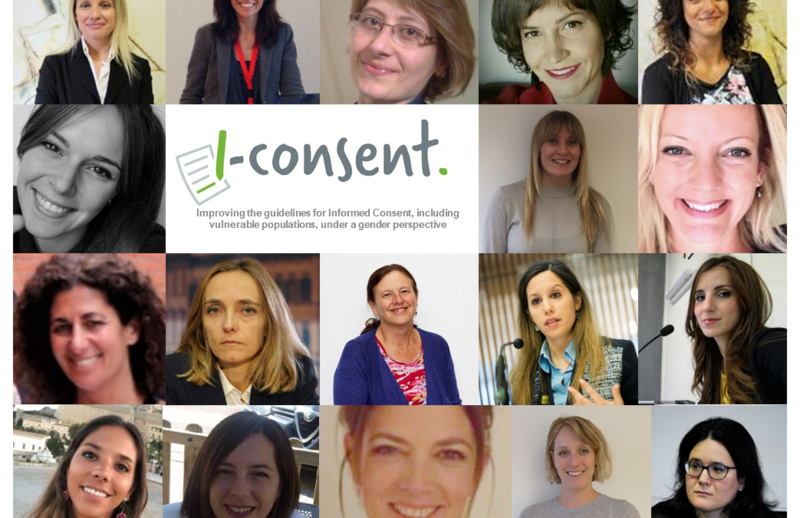 The i-CONSENT project is committed to reducing gender inequality within clinical research and works daily to improve this situation. This commitment is reflected in the project’s scope and organization, where more than half of the members are women. 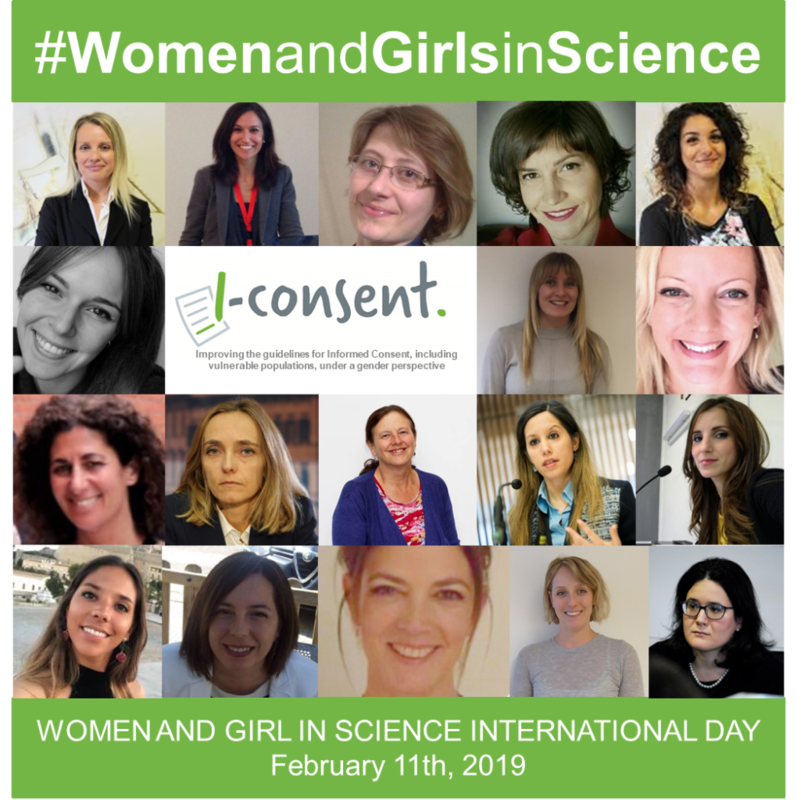 On the International Day of Women and Girls in Science, i-CONSENT wants to raise awareness of this issue and celebrate all the strong women who make this project possible. Although initiatives have been introduced to increase the proportion of women participating in clinical trials, women continue to be underrepresented. This is problematic because due to biological differences between the sexes, women may have particular reactions to medicines or require different dosages to men. For example, during pregnancy a woman’s blood volumes double, thus potentially altering the effectiveness of a drug. For these reasons, a signification proportion of women are taking medicines that have not been typically tested on this population. Studies have shown that time restrictions are a significant barrier for women juggling childcare and work commitments, or for those acting as carers for other family members. For these women, the inconvenience and cost of rearranging time off work, organising alternative care to attend appointments and/or access to transport may exclude some from taking part, particularly those from low-income groups. For these reasons, clinics may need to consider different strategies to improve recruitment rates amongst women, such as providing childcare facilities and transportation, offering appointments convenient times or at the participant’s home. Some studies have indicated that men and women demonstrate slightly different behaviors when using ICT and consuming information. For instance, studies have indicated that women are more likely to use the internet as a communication tool, while men are more likely to use as an information seeking tool. Other studies point to gender differences in eye tracking or to gendered-communicative styles used in online discussions. This is an important aspect to consider in order to appropriately adapt the informed consent process to the needs, interests and preferences of the participant.